When it comes to counting your blessings, where do you start? For members of the Endeavor Presbyterian Church in the Presbytery of Lake Erie, they are really counting their blessings now. For the first time in the 120-year history of the church, the building has running water. That is a blessing. It was a time-consuming project that was first envisioned in March of 2017 and required many hands to make it happen. But now it is complete, and Endeavor Church finally has restroom facilities in the church building. For those who didn’t grow up in the country, it’s difficult to imagine not having running water and restroom facilities. Yet, until very recently, the members of the Endeavor Church have never had running water in their facility. “This church is in a rural area,” explained Commissioned Pastor Roger Snyder. “I’ve heard it said that it’s five miles past the edge of civilization. Installing the restroom is a big deal for our area. Although we live in a rural area, we all have the same basic needs. The idea of being able to worship as a church family is an element sorely needed in our area. The idea of not being able to use a restroom for an hour and a half is prohibitive to some sharing in worship. Despite the relative ease of installing pipes in structures these days, the process for bringing running water to Endeavor Church was not as simple as one might think. 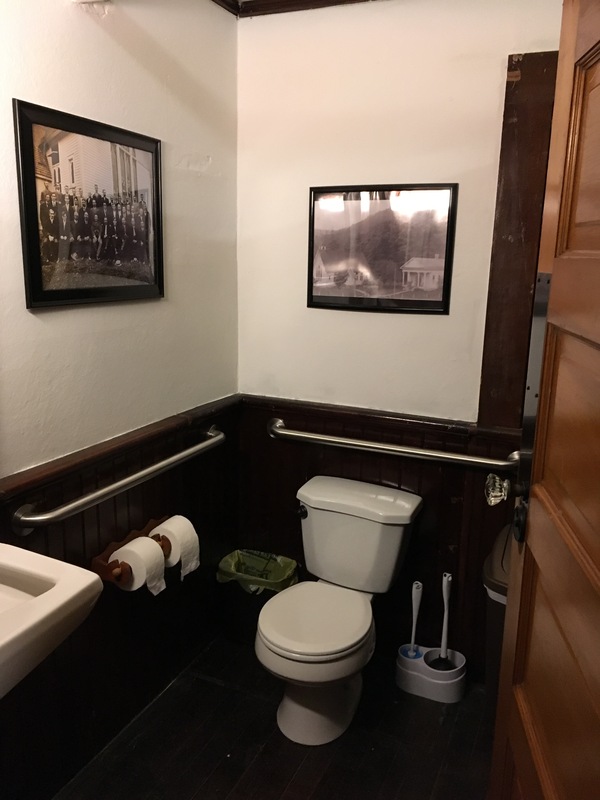 “Enabling and installing the restroom was quite a logistical challenge,” Roger said. “A mere year and a half ago, this church only had enough finances to last a couple more years. The available financial resources with larger community involvement and a growing congregation turned our income into a positive cash flow. The Presbytery of Lake Erie’s general presbyter, David Oyler, reached out to several people explaining Endeavor Church’s need. The Rev. Sue Montgomery, who is an advocate of disabled persons, was contacted and she got the ball rolling. The very next day, Swissvale Presbyterian Church near Pittsburgh received some money from a long-time member who was adamant about people attending worship. The church felt strongly that a portion of that money should be spent in a way that really made a difference in people’s lives. Swissvale Church contacted Rev. Montgomery with this need for an opportunity, and Endeavor and Swissvale proceeded to engage in a lasting relationship. Because Endeavor Church and its worshipers reside near a scenic tributary that empties into the Allegheny River, the congregation is very environmentally sensitive. The church obtained permits from the township, which supported the mission. 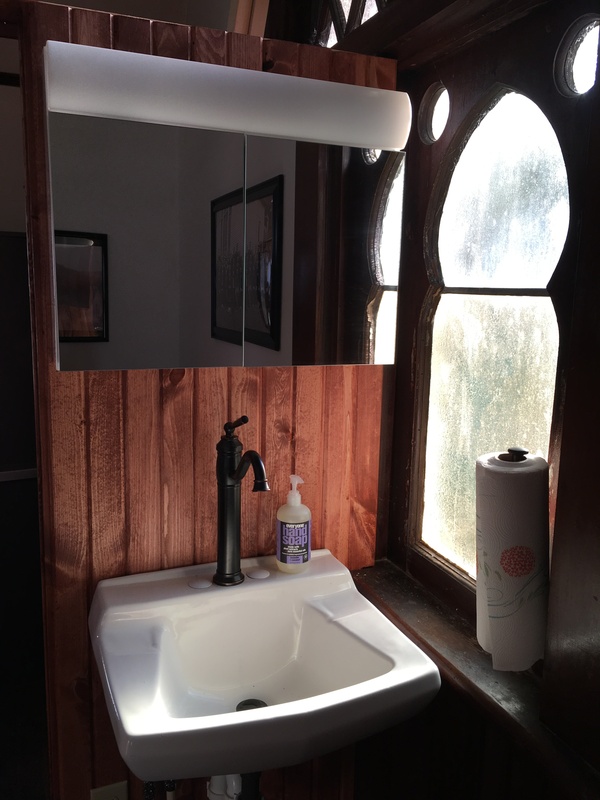 A skilled member of the congregation agreed to mastermind the interior work, and a neighborhood friend, whose family and Endeavor Church went back several generations, agreed to do the outside work and plumbing. And, because most projects take twice the money and time to complete, fundraising continued at Endeavor. A community spaghetti supper was also organized as a fundraiser by a high-school senior for his service project. Originally hoping for between 30-50 dinners to be purchased, 200 people turned out buying 300 meals. Wiring also had to be done to accommodate the new water system, and exterior work to the church building was being completed at the same time. By October of 2018, the entire project was completed. “We are the first church in our neighborhood of three churches who actually have running water,” Roger said. Aside from running water and seeing the community come together for this cause, Roger was also pleased to feel God working through others to help complete this project. “I reflect on a time I was in a dark, damp, spider-infested crawl space – I have claustrophobia, praying like David in the 23rd Psalm and the ‘valley of death’ – with our two main helpers,” Roger said. “Both had family members in our books dating back to the early 1900s. Neither had been to this church for years. I mentioned that they both had relatives looking down and being satisfied that they were keeping this church family active for another generation. The smile on their faces brought goosebumps. People are genuinely happy and satisfied when we do what God wants us to do. It all adds up to a needed convenience at Endeavor Presbyterian Church, one that was accomplished with incredible teamwork in the congregation and community as a whole.